The State Commission on Migration Issues is conducting the information campaign titled “Legal Migration - The Best Choice” with support of the EU, within the framework of which a Guidebook on Legal Emigration was developed in Georgian and English Languages. The guidebook offers practical information on the whole range of issues such as the documents necessary for emigrants, the legal ways for temporary or permanent departure from Georgia or return to the country as well as provides information on the state and non-governmental organizations dealing with migration. We believe the guidebook will become a useful source for potential and actual migrants as well as other persons interested in the field. 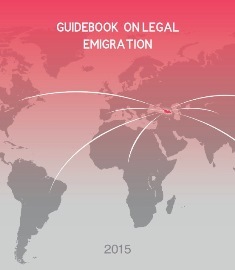 The Guidebook on Legal Immigration is being developed, which will soon be published.